What is an ovenbird, and what can it tell us about forest conservation? Is forest fragmentation – the breaks in continuous forest caused by roads and commercial and residential development – having an effect on the breeding success of these birds? The answers to these questions will be explored on Wednesday, May 8 at 7 p.m. at the Millers River Environmental Center (100 Main St., Athol), when David Morimoto, Ph.D., will discuss the natural history and behavior of these birds, and what they are telling us about municipal planning, forest conservation, and forest management. Offered by the Athol Bird and Nature Club, the program is free and open to the public. The ovenbird, a member of the warbler family, is one of many local songbirds that breeds in our area and migrates to Central America for the winter. Morimoto and Michelle Frankel, with several helpers, conducted their research into the birds’ mating and breeding patterns over six years in the landscape of Weston, Massachusetts, just west of the heavily populated urban area of Boston. Morimoto is director of Lesley University’s Natural Science and Mathematics Division. An ecologist and conservation biologist, he has studied birds in Massachusetts and South America and is currently involved in urban ecology studies and conservation and education work in Guyana. He was elected an inaugural SENCER National Leadership Fellow in 2008. At Lesley, he has overseen the development an environment-based curriculum with a focus on Community-Based Environmental Research (CBER). The goal of the program is to integrate research and outreach experiences throughout the science and mathematics curriculum and to build research and education collaborations with local schools, neighborhood organizations, and nonprofit groups, so that individuals learn science by doing it in the context of issues of civic interest and local to global importance. 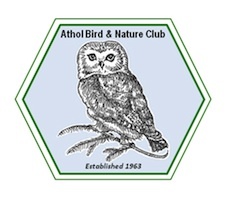 More information about the ABNC is available at www.atholbirdclub.net. New members are welcome.